We loved the old Megane Coupes of the late 90’s and whilst maybe they were not very coupe looking, they were kind of there, at least in spirit and in the 16v versions, were one heck of a lot of fun to drive, so we were excited when Renault announced a new 3rd generation Megane Coupe would be hitting the showrooms in early 2009. Based on the new Megane 5dr ‘family’ hatchback, the idea of the 3dr coupe was to offer most of the usability and affordability of the 5dr hatch, but tweak it up a bit, and add a bit more pizzazz, dress it in designer clothing, and create an aspirational icon that offers a real alternative to its more staid brother, aimed at those of us who like to turn back and give our wheels an admiring glance as we walk away. Got to say, at first look, well Renault seems to have succeeded and that’s not really up for argument as this is without doubt a very good looking car. So that’s the first hurdle over and its a fairly important one, as a coupe is all about styling and its all about design, other wise why would we trade the practicality of a 5dr car for the inconveniences of a 3dr car, it just has to give you something in return, and the exactly what this pretty coupe does. The new Megane Coupe is available in three flavours, the lead in Expression, the Dynamique and the top of the range Privilege. Alloy wheels, Front Fog Lights and Air-Conditioning and a plethora of other bits are standard across the range. Our test car was the 1.9DCi 130 Privilege and that came with a few extra goodies by way of options, including colour screen satellite Navigation, leather upholstery, 17” alloys and heated front seats, so it was nicely specified and it was finished in silver metallic, a colour that really suited it. To give the Coupe a sporty feel, Renault have lowered it by around 12mm over the five door version, and have firmed up the shocks and springs and whilst that’s not going to suit everyone, as it replaces the smooth ride of the 5 door with a much firmer ride, which even on smooth roads, reacts to every undulation it comes across, but then I guess that’s normal and goes with Coupe territory. Another thing that goes with a coupe is rear three quarter visibility and in the Megane Coupe, it’s absolutely awful, in fact, it’s abysmal and you might just as well be driving a van. That said, it’s a coupe and its all about the styling and OK, rear vision is pretty grim, but being honest, we could forgive this car for a lot of things, as its arguably just such a pretty looking car, so based on that, ignore our comments about bad rear vision, that’s forgiven so please try to pretend we ever mentioned it, sorry. Truth is that the Megane Coupe sits on a great platform and grips road like Fixa-Dent grips your dentures (so they tell me) and the cars steering and turn in are just so balanced so precise that they really make you remember why you used to like driving and for those of you that want to get involved with your driving, well your simply going to love this car. But we suspect that there may be even more to look forward to in the future, for we all know how off the wall Renault are, so its pretty certain that for the even the more demanding amongst us (with much deeper pockets), that there is going to be at some point a radical F1 edition, or RenaultSport special edition of the Coupe and I for one, just cant wait to get my hands on that. Engine wise, six are going to be available, depending on the model you choose and diesel options are an 86ps or 106ps 1.5-litre and a 1.9-litre 130ps.with petrol units starting with the 1.6-litre 110ps, a 2.0-litre 140ps which only comes with the CVT gearbox and finally, the range topping 2.0-litre 180ps Turbo, which while pretty powerful only powers the car to 7.8 seconds in the 0-62mph sprint, which compared to other hot hatches isn’t particularly quick, particularly as the car only weighs 1320kg, but as we said earlier, watch this space, for some really pokey unit sooner or later! Cost wise, the new Coupe starts at £15,250 for the 1.6-litre Expression, going up to around £19,550 for the identically priced Dci130 diesel or TCE180ps petrol and inexplicably these prices are £400 more than the comparable 5dr hatchback prices, but that said, the coupe, pound for pound will be worth a little more when you dispose of it 3 years down the road. There is lots of option availability to allow you to personalise the car as you wish with the most expensive option being the colour screen Sat Nav at £1600, whilst you can get a dealer fitted body kit for around £1100. Despite this being a sporty coupe, Renault haven’t lost sight of the environment, as the Dci 86 diesel unit produces just 118g/km of CO2, whilst its more powerful sibling the 106ps is only 2 higher, at the magic 120g/km mark. Saying that, I suppose its right I tell you the worst figure in the Megane Coupe range and that’s for the most powerful version of the coupe, the 2.0-litre 180ps Turbo Petrol, which produces 178g/km but to put that into some kind of perspective, Vauxhall’s new Insignia 2.0 petrol unit (they only offer one 2.0 petrol unit in Insignia) chucks out a glacier melting 209g/km and don’t forget, that’s a car which is aimed firmly at the fleet market, so well done to Renault for that. That’s not where it stops though as Renault claim the 1.5-litre diesel units in new Megane will also be pretty thrifty, returning a very impressive 62.8mpg on the combined cycle. We have to look at both the good and the bad here and lets be honest, Renault have undeniably suffered with reliability problems in the past, but over the last couple of years, they have done so much to slay that dragon and rebuild their reputation and later build Renaults really are now amongst the most reliable main stream product out there and that’s not Renault saying that, but the industry as a whole and I think you can even feel it, by driving a late date Renault, as they just seem so much better put together. A measure of how good a car is by how much after sales warranty work a manufacturer does to a car and It’s my understanding that Renault have reduced this significantly, supporting the fact that today’s Renault is a lot lot better than the cars of just a few years ago. So where are we with this car? We buy cars because we need them and for many people, they just want a reasonably priced car that’s pretty reliable and doesn’t cost a fortune to run. But for some of us, well, we want a little more, we want a little fun and we want a car that looks nice and says something about our taste and the kind of person we are and I guess we want a car that brings us a bit closer to the dream cars we had pictures of on our bedroom wall’s as kids. Well with the new Megane Coupe, the impossible is happening, as both Mr Normal and Mr Got-to-have-it-All can come together as this new Renault seems to tick everyone’s boxes, as its both a reasonably priced reliable car, which isn’t going to cost a bunch to run, and yet its got that little bit more and of course, when it comes to looks, well, its got lots more. We enjoyed our time with the new Megane Coupe and were very disappointed to see Renault come and take it away, and I can tell you, it’s not all cars we feel that way about. We found, with the exception of not having a clue what was going on behind us for the most of the time, that the Megane Coupe was easy to live with and easy to drive and whilst its got harder suspension than its 5dr brother, its like riding on a cushion of air compared to something like a Civic Type R. We loved the way the car looked and it reminded us of the Renault Apine 310 of the 70’s. We loved the fact we could have arguably one of the most attractive coupes on the market, yet get sensible fuel consumption; low CO2 and it didn’t cost a fortune to buy, which meant we could probably actually own one rather than just dream of owning one and of course, no matter what happens, its always going to look that good, so when we come to selling it, chances are its going to hold its value better than a lot of other cars out there, as others are going to want to own it once you’ve finished with it. We felt a bit special driving this pretty Renault Coupe, its automotive ‘eye candy’ and everyone who saw it loved the way it looked and yet all that comes with a normal price tag and sensible running costs, so if you can live without 5 doors and fancy a car that gives you a buzz every time you look at it, we have found the car for you, but I only wish I could have one to keep for myself as well (so if you are out there Elvis!). 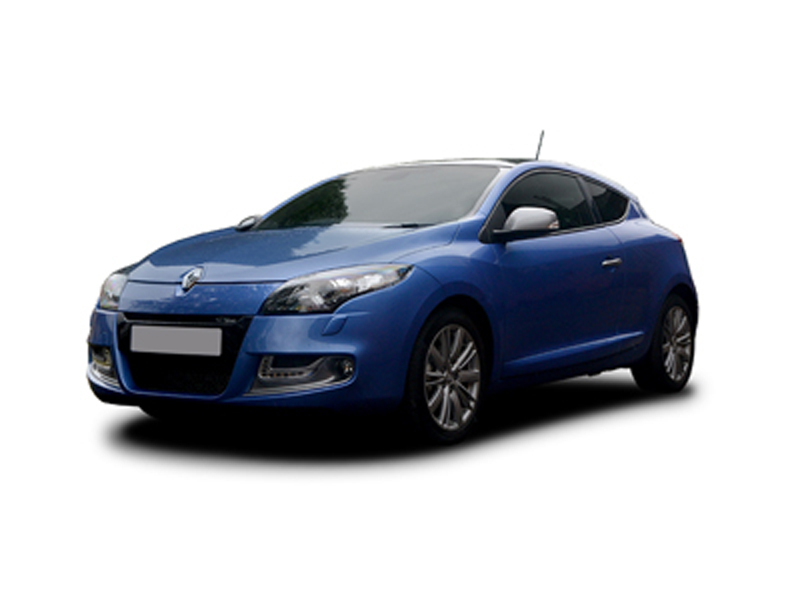 For a quotation on the new Renault Megane Coupe, or any vehicle in the Renault range, please contact us.